Your survival cache is missing something. It can stop infectious disease, feed your family for days, and is delicious to eat. Most people have never heard of this wonder plant, the “super-food” nutrients it provides, and that it can actually be found in the wild. It’s an essential ingredient in any survival cache, garden, and bug-out bag and –until now – it has remained hidden in folklore and secrecy. Native Americans depended on this highly nutritious and delicious plant for their very existence for centuries. And yet it has been largely forgotten in our Western diet and replaced with toxic, GMO-riddled, cancer-causing poisons that Monsanto and Big Food feed us on a daily basis. Hi, my name is Chris Peterson and you probably have heard of my Patriot Privacy Kit, where I protect freedom-loving Americans like you from the spying thugs at the NSA and CIA. In my preparation, I met a man I’ll call ‘Bill’. Bill is a 58-year old fishing and hunting guide by day. But over the course of his life he has dedicated himself to one thing: learning how to survive in the wild using only his wits and a few simple tools. Bill’s not one of these ‘Hollywood’ survivalists that seems to take a camera crew everywhere he goes. Bill actually spends months at a time in the backwoods of the Carolinas and Georgia surviving off nothing but what he can hunt and forage for. So, I asked Bill to use his 34-years of backwoods survival experience to give me some tips on surviving a crisis. I know that most people don’t believe that they’ll have to survive in the woods for long stretches at a time. But I wondered what advice he would have for the ‘suburban survivalists’ like me and my friends. I thought he would talk about some of the tools he used and his gear bag. Instead, he talked about one thing – food. And what he told me shook me to my core. He said that 99% of survivalists and preppers are prepping the WRONG WAY. Bill told me what should have been obvious: that survivalists are treating the most important parts of their cache–food and medicine–like an afterthought. He said they are dependent on food and medicine stores that will run out in short order. Modern day preppers believe that they can depend on survival meals and freeze-dried concoctions — that barely resemble food — even when they are brand new. Give those so-called ‘meals’ a few years to sit and decompose and what was once a pretty terrible meal is now useless and in some cases downright poisonous. Bill said something that made the light bulb go off in my head: you need to be able to grow and forage for FRESH FOOD AND MEDICINE, in any given situation. Think about it, this grassroots cause we have chosen, the preparedness, self-reliance, and survivalist movement, is all about being prepared for ANYTHING right? 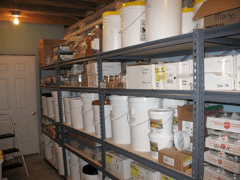 So, how can you say you’re truly prepared for anything when you might be dependent on a rotten and stationary food cache? What happens when your food and medicine supplies run out? 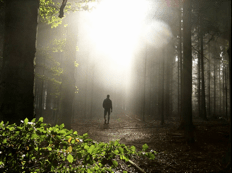 Shouldn’t you be prepared to survive-in-place AND survive on the run? To do that you need to be able to grow and find fresh, nutritious food and simple, natural remedies for common ailments. You will be stunned to know just how EASY it is to discover delicious wild plants –and grow them yourself – for medicine and food. There is a virtual grocery store waiting for you in the wilderness, and the best part is the food is FREE. The price of ONE pre-prepared survival meal can be $5. That means that it would cost a family of four $1800 PER MONTH to eat on survival food alone, and remember these meals are made dehydrated noodles and powders that have almost ZERO nutritional value. What if you could find FREE food and medicine in the wild that is fresh, delicious, and incredibly effective at keeping you healthy and alert? The ONE plant everyone will be clamoring for in a crisis. This plant is not only delicious and nutritious but is a natural antibiotic! Why every garden should include Echinacea – natures wonder drug. This delicious ‘weed’ is so prevalent and so high in antioxidants that it’s given to patients with tumors. How a forgotten plant, popular in the 19th century, could be the key to proper digestion. How the little known ‘trout lily’ will keep you energy levels high in any situation. The easy to identify and tasty ‘Jerusalem Artichoke’ could feed a family for days. We’ll include at least four common, but little known, fruits that are easy to find and high in natural sugars your body needs. Beware of this certain ‘apple’, the fruit is delicious, but the stem can be extremely poisonous. We’ll show you how to identify which parts to eat. Even in the desert, you can enjoy the fruits of the wild like the prickly pear cactus, I’ll show you how to gather and eat it without getting bloody! We’ll show you 5 kinds of wild berries that taste so great you’ll want them in your garden today. Plus, we’ll talk about 4 nuts that you’ve probably never heard of that can provide much needed protein and energy. And I’ll show you a variety of seeds that can spice up AND add nutrition to your diet! The staple flower that Native Americans used to stave off infectious disease. The natural cough suppressant your pharmacist doesn’t want you to know about! And let’s not forget natures best pain reliever, that exists in the bark of very common trees (its actually the active ingredient in 90% of pain relievers). And much, much more, over 97 pages jam-packed with survival plants your family needs. And, in every chapter we’ll show you a detailed picture for EASY identification, how to prepare each plant, and even how you can grow it yourself so you can add it to your garden. Plus, we’ll show you how to identity the healthy plants from the dangerous and poisonous plants. It would take you DECADES to gather the knowledge and experience that Bill has poured into this book. This is so easy to follow and understand, you’ll start to recognize edible and medicinal plants right away. There were a few flowering plants right in my backyard that I never even considered to be useful for survival! Container Gardening Secrets is essential for anyone that wants to grow delicious, free food in a small area. This 20-page guide has sold for $20 in the past, but I’m going to include it for free. This handy little guide covers growing everything survivalists need in pots, trays, and modular planting techniques for getting maximum yield in minimal space. This is something anyone who wants to control their food supply needs. And, I’m going to send you the e-books for…. Not $20 which is what you’d have to pay on Amazon for both ebooks…. Yes, for my special, early-bird buyers, I’m charging just $7. I know you’re savvy consumer. You want a rock-solid, iron-clad guarantee that this will be one of the best survival resources you’ve ever seen. So, I’m going to give you exactly that. So now you’re wondering why its only $7? With all of the natural and manmade disasters that have occurred over the last 10 years, I knew that I needed to step up and help my fellow Americans. We are living in a very dangerous time, and we need to step up and help each other. And, I realized that maybe I could help a few people and make a little money on the side for my family. Then, I could create a community of people that are not only concerned about being prepared for when it really hits the fan, but that were willing to do something about it with this EASY-TO-USE 97 PAGE GUIDE. $7 is something that almost anyone can afford. And if they’re not willing to spend the price of a fast food meal to help themselves, then they’re just content to depend on the government for their own survival. Just think how much you spend on your garden, survival food, or memberships per month? Is it worth $7 to learn to feed and medicate your family naturally? Now, my kit used to sell just a few weeks ago for $27. But I realized that the more people could afford this, the more people I could help. So, for a limited time its just $7. Get out your credit card and set it on the keyboard. Enter it into our triple secured and encrypted order form below and get your instant download NOW. 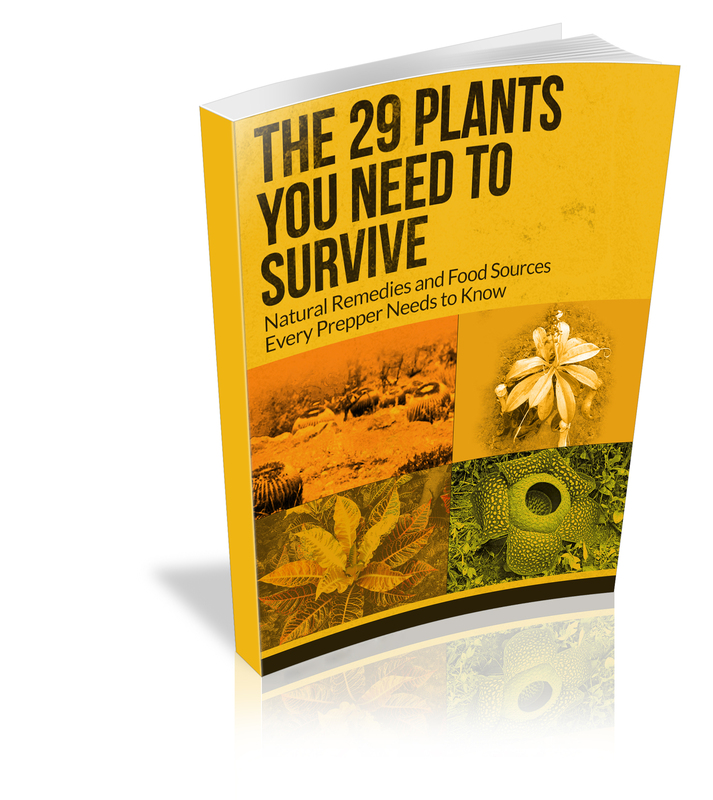 Come on, for less than the price of a fast-food meal you can learn about the 29 plants and ENSURE YOUR SURVIVAL IN ANY SITUATION TODAY, just click below to get started. Even if I didn’t earn your business today, I want to THANK YOU for taking the time to watch my video. Enter your credit card information below and get your instant downloads NOW.